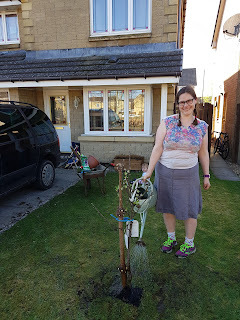 Some years ago I bought a tree as an anniversary present - it was our fourth and the traditional present is fruit and flowers. 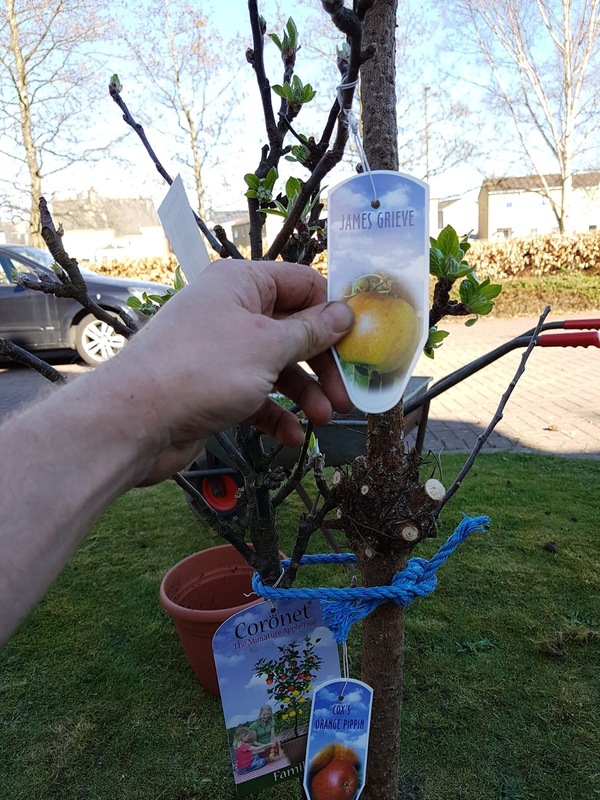 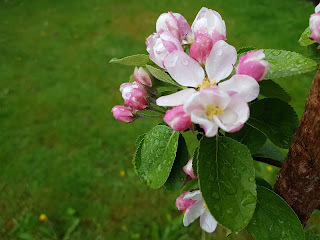 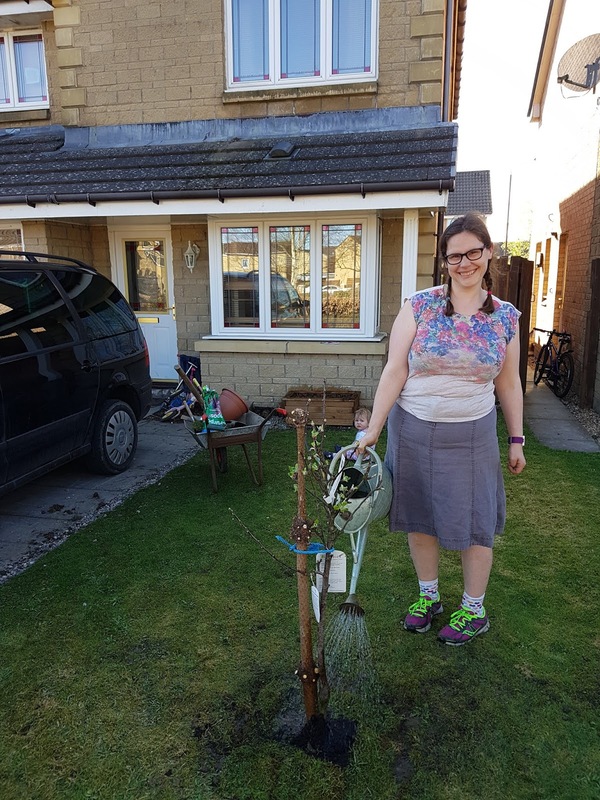 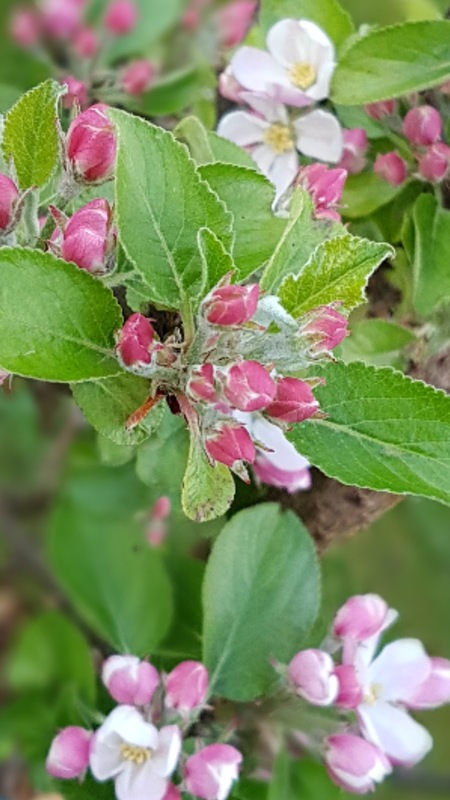 So it was an apple tree, mature enough that it had a couple of apples on it when it was planted. 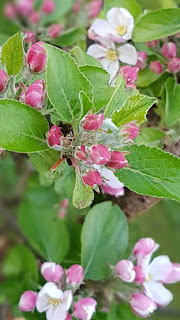 It's still there, in our garden on Anderson Drive, I saw it last year (it's very tall now!). 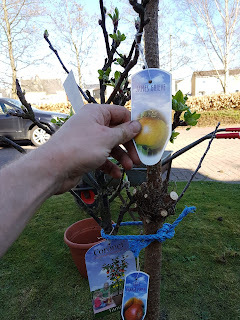 We were rather sad to leave it behind and always agreed that when we had an "our" house we'd plant one again. 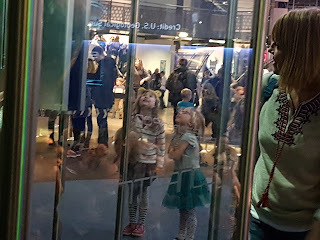 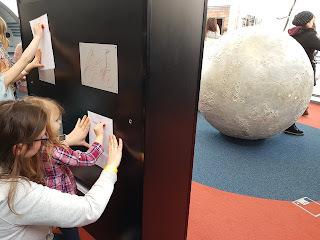 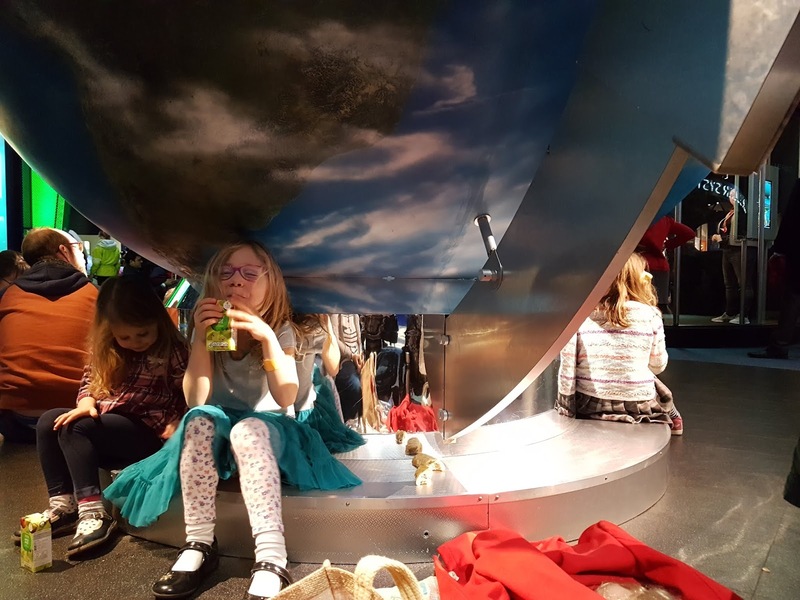 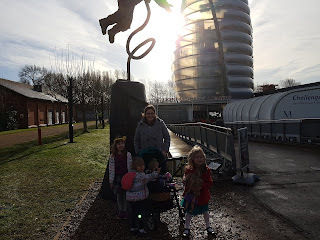 Back in February, we took a wee trip to Loughborough, Mostly catching up with friends but we also took a look at the National Space Centre, which Miriam and Naomi were really too young for when we still lived there. It's a brilliant day out and well recommended! 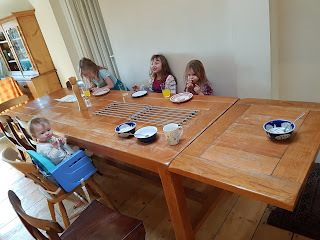 Breakfast in a house made for even more people than us! 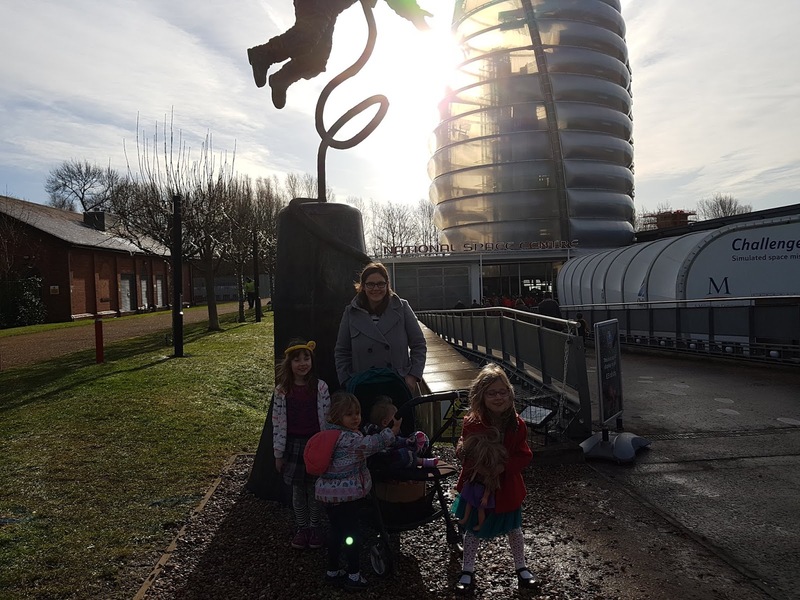 Yes, that's a real rocket in the tower behind us. 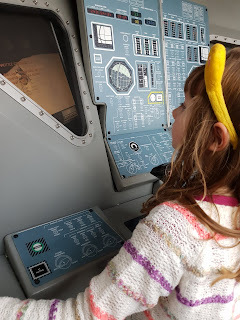 Naomi having a go at landing on the moon.